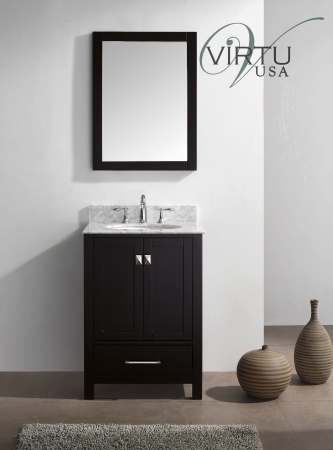 The simple elegance of the style of this set will enhance any bathroom with style and functionality. 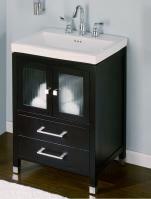 The single sink vanity is topped with a white marble counter and provides ample room for storage. The dark espresso is high lighted with the light counter surface as well as the brushed nickel finish of the hardware pulls. 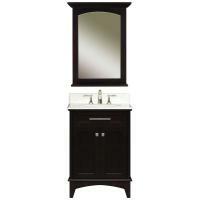 A matching mirror completes the set.